The major market channels for strawberries, as for most fresh produce, are the regional and national wholesale markets and the direct/local channel. Direct markets, including roadside stands, peddlers, farmers’ markets, and pick-your-own, are the dominant outlets for most minor production areas. Other local markets include direct deliveries to individual and small chain grocers and sales through local distributors. Processed product is used in manufactured goods such as desserts and jams, as well as being sold as frozen product. The involvement of strawberries in fresh juice and smoothie bars has helped direct fresh and processed product into the food service channel. The use of strawberries in fruit platters and salads has also contributed to sales of fresh strawberries within the catering industry. Strawberry is used as fruit, direct eating. Used in smoothis and in fresh fruit salads. The best way to slow spoilage is to quickly remove field heat and to maintain the berries as close to 0°C as possible. The cold chain should be maintained by storing, distributing and marketing fruit at 0 to 1° C.
Any failure to maintain produce at low temperatures during handling, storage, and transportation will result in loss of quality and marketability. When the temperature of a strawberry is raised from 0 to 10°C, its deterioration rate increases two- to four-fold. This means that berries held at 20°C have only one-quarter to one-half the life expectancy of those held at 0°C. Market life will be reduced to only a few hours if strawberries are held near 30°C, as may occur in the field. Precooling (rapid removal of field heat) of strawberries is essential within 1 hour of harvest. Cooling delays of 2, 4, 6, or 8 hours reduces marketability by 20, 37, 50, or 70%, respectively, after holding the fruit at 25°C (Mitchell et al., 1996). 300000 tons per year in Spain. 1. U.S. No. 1 consists of strawberries of one variety or similar varietal characteristics with the cap (calyx) attached, which are firm, not overripe or undeveloped, and which are free from mold or decay and free from damage caused by dirt, moisture, foreign matter, disease, insects, or mechanical or other means. Each strawberry has not less than three-fourths of its surface showing a pink or red color. a. Size. Unless otherwise specified, the minimum diameter of each strawberry is not less than three-fourths inch. 1) For defects. Not more than 10 percent for strawberries in any lot which fail to meet the requirements of this grade, but not more than one-half of this tolerance, or 5 percent, shall be allowed for defects causing serious damage, including therein not more than two-fifths of this latter amount, or 2 percent, for strawberries affected by decay. 2) For off-size. Not more than 5 percent for strawberries in any lot which are below the specified minimum size. 2. U.S. Combination consists of a combination of U.S. No. 1 and U.S. No. 2 strawberries, except for size: Provided, That at least 80 percent, by count, of the strawberries meet the requirements of U.S. No. 1 grade. 1) For defects. Not more than 10 percent for strawberries in any lot which are seriously damaged, including therein not more than one-fifth of this tolerance, or 2 percent, for strawberries affected by decay. No part of any tolerance shall be allowed to reduce for the lot as a whole, the percentage of U.S. No. 1 strawberries required in the combination, and individual containers (cups or baskets) may have not less than 65 percent U.S. No. 1 strawberries: Provided, That the entire lot averages within the required percentage. 2) For off-size. Not more than 5 percent of the strawberries in any lot may be below the specified minimum size. 3. U.S. No. 2 consists of strawberries which are free from decay and free from serious damage caused by dirt, disease, insects, mechanical or other means. Each strawberry has not less than one-half of its surface showing a pink or red color. a. Size. Unless otherwise specified, the minimum diameter of each strawberry is not less than five-eighths inch. 1) For defects. Not more than 10 percent for strawberries in any lot which are seriously damaged, including therein not more than three-tenths of this tolerance, or 3 percent, for strawberries affected by decay. Strawberry fruit range is size by variety and as the season progresses. Many new varieties produce very large fruit that are over 2 inches long and more than an inch in diameter. There are grade standards for strawberries related to diameter. U.S. No. 1 fruit must be at least 3/4 inch in diameter and U.S. No. 2 fruit must be at least 5/8 inch in diameter. Strawberries have to be picked as carefully as possible, directly into the consumer package. This is especially important when aiming at long shelf-life. The perforation of the package makes chilling more efficient and improves shelf-life. Strawberries withstand transportation better in punnets than boxes. Early and peak season strawberries, when picked ripe and packed in a modified atmosphere, have a shelf-life of over a week, making export possible. Management must also determine the temperature at which fruit will be allowed to be shipped. It is highly recommended to cool berries to 0°C before shipment, especially if pallet covers and modified atmosphere (MA) are to be used. Transport vehicles do not have the capability to cool product but only have the capability to maintain product temperature. This is a critical area where commitment to quality must be balanced with market demands and volume flow. Shipping strawberries across country at temperatures warmer than 0°C will greatly reduce fruit quality and shelf-life. Stores and supermarkets can do their part in ensuring faultless strawberry quality. They can store strawberries in cold rooms, bring out only small amounts at a time or sell them directly from the cold counter. Shelf-life can be improved by maintaining low transport temperature. Damage from transport can be minimized by using vehicles equipped with gas suspension during long distance transport, by binding up the box piles and securely fastening the pallets. Strawberries survive best in low temperature (+2C) and in sufficient relative humidity (RH>85%). 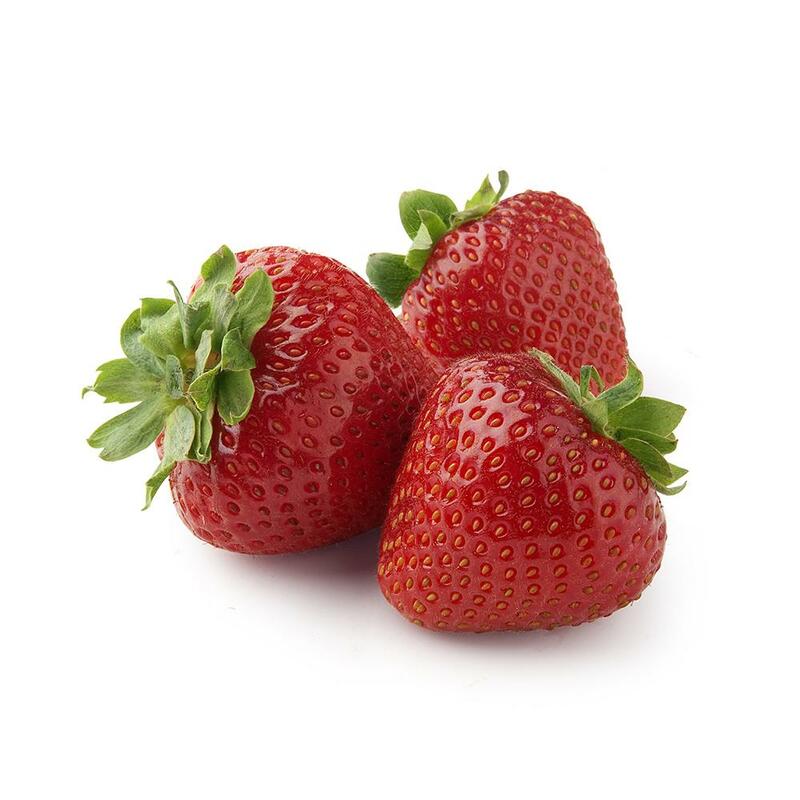 Temperature is the most important factor affecting the shelf-life of strawberries. Strawberries have to be chilled to below +5 C as soon as possible after picking. Chilled strawberries transport better than chilled ones.